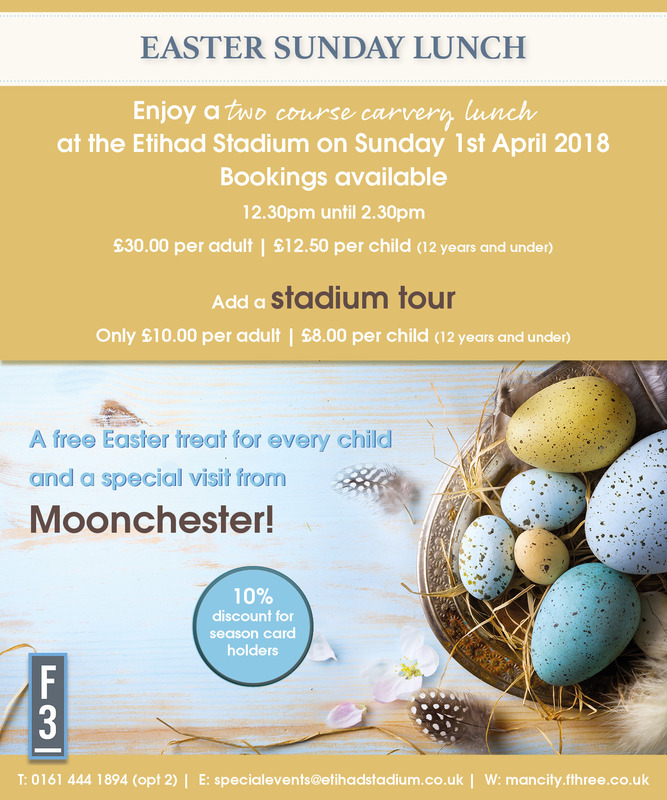 Treat your family to a special lunch at the Etihad this Easter. Enjoy a two course carvery lunch in one of our exclusive hospitality suites. 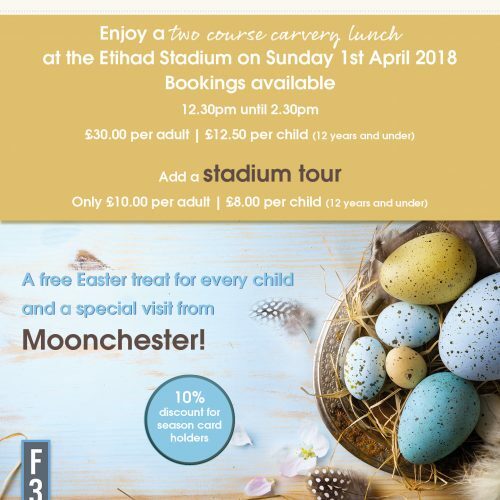 A special visit from Moonchester and a free Easter treat for every child! Bookings available between 12.30pm & 2.30pm.